Price-computing scale. M-certified. 35 Kg. capacity. Portable: the PCS operates with an AC adapter. Generates the report of total daily sales. Controls sales of weighed and non-weighed products. Removable stainless steel, 29x35cm. tray. Operates with a long lasting rechargeable battery (100 hours approximately). Battery included. Easy-to-read backlight alphanumeric liquid crystal display enhances visibility even in dark areas. 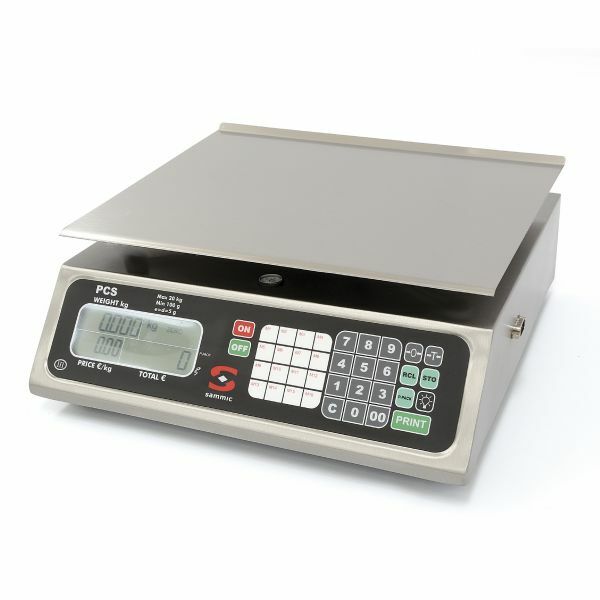 The PCS scales are capable of storing the price of 100 products. A pre-pack function is also included to speed up same products packing operations.